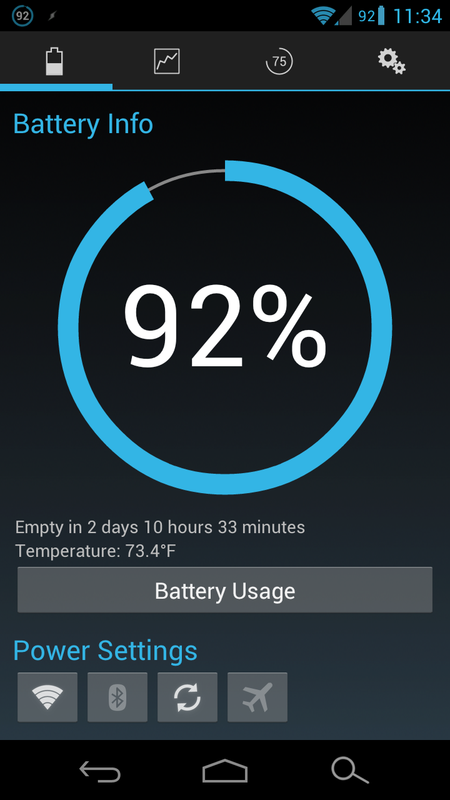 I've seen hundreds of battery widgets. Maybe more. 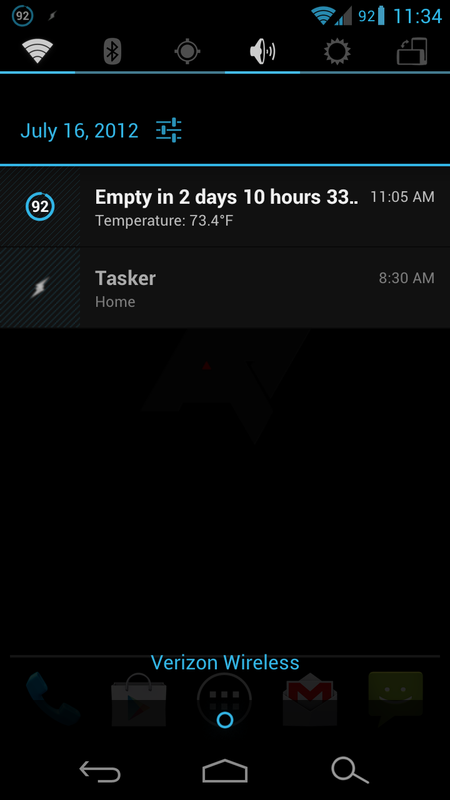 Still, I've been using Circle Battery Widget for what seems like eons. 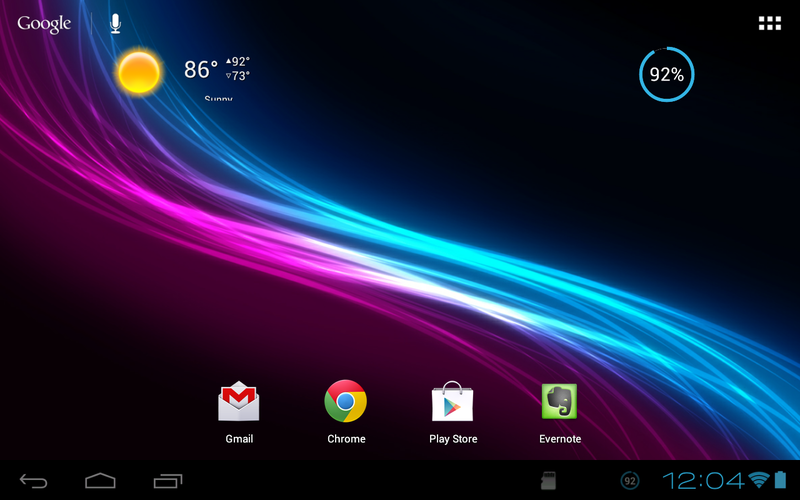 It's installed on every device I own/have owned, and it ends up on every device that I test, too. Why? 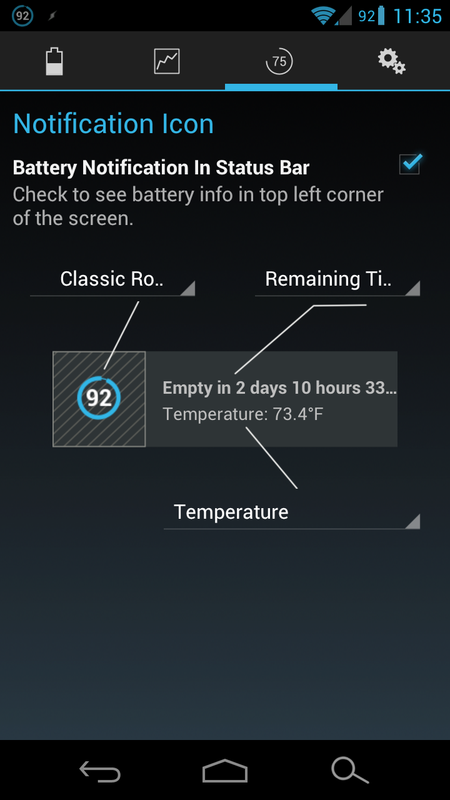 Because it's simple, customizable, and tells me what I want to know at a glance. 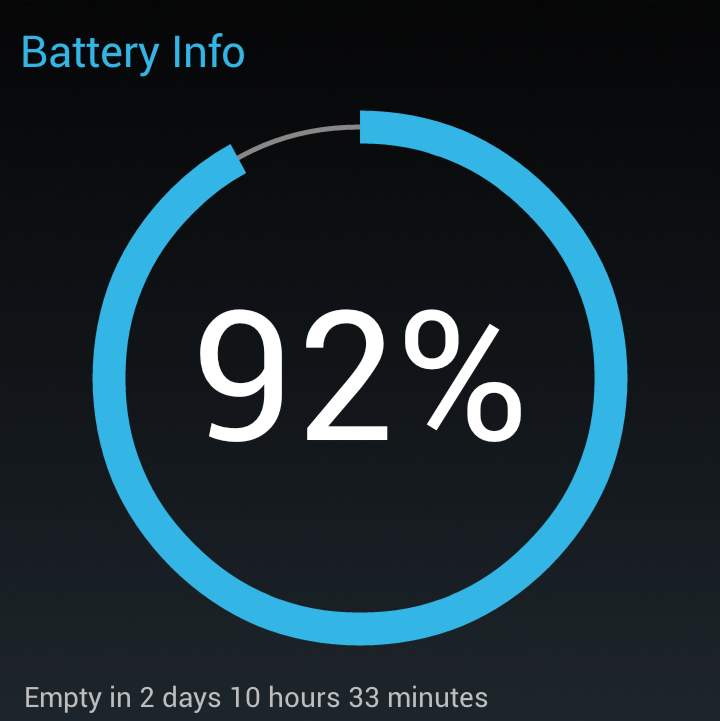 Not only that, but I think the circular graph is an excellent way to output the remaining battery percent. 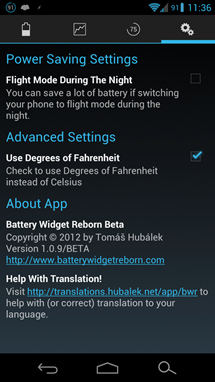 Then, thanks to a tip from the developer of the app, Battery Widget? Reborn! (no, I'm not a big fan of the punctuation in the name of the app, but that's a moot point) fell into my lap and a new love was born. 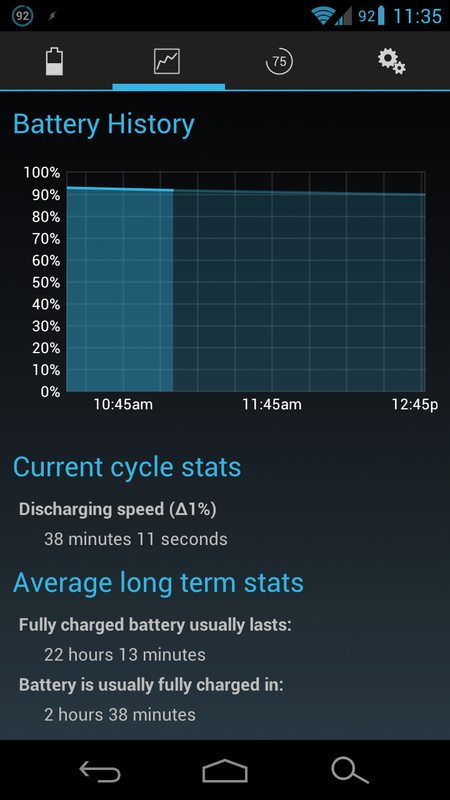 This is my new favorite battery widget, and with a veritable ton of options available in the Play Store, I don't say that lightly. So, what's special about it? 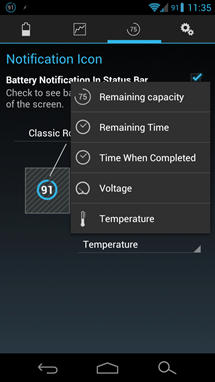 Firstly, it adheres to the ICS guidelines, so it's super pretty. Classy, even. 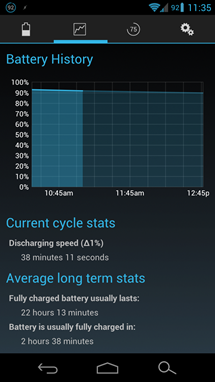 Aside from that, it offers a good amount of features and information, such as current battery voltage, temperature, time when last charge was completed, average long-term stats, and time remaining until battery is completely empty. 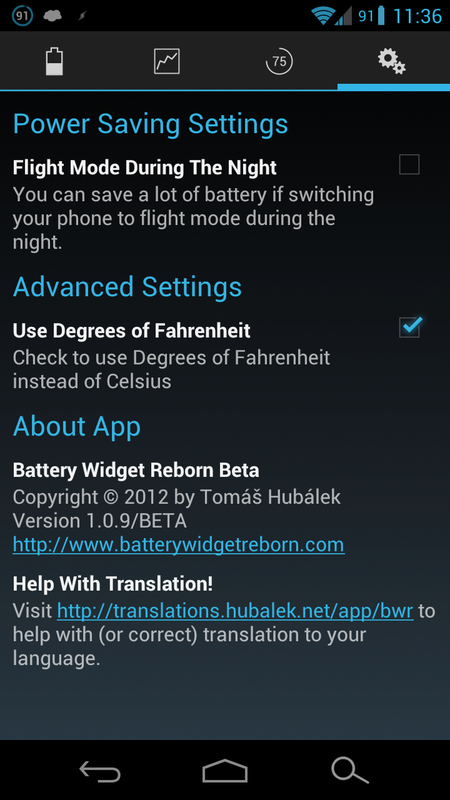 It also includes a nifty little section to toggle Wi-Fi, Bluetooth, sync, or enable airplane mode to save battery life. 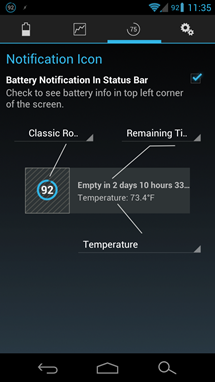 And all of that information is fronted by a simple resizable circular widget, not unlike the one I mentioned in the opening paragraph. 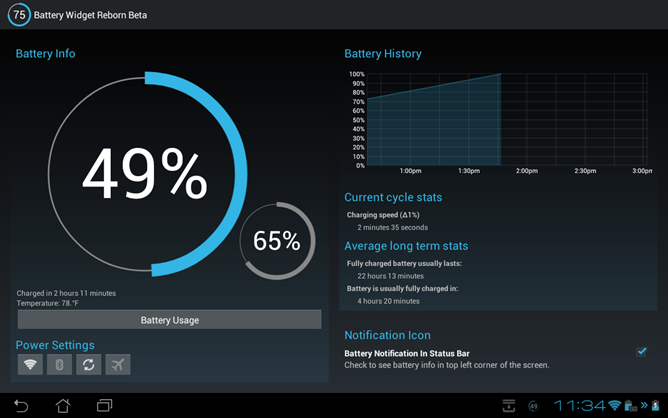 That's not all, either; this widget is fully optimized for ICS tablets, and it even includes a second battery indicator (within the main app, not the widget itself I stand corrected: there are actually two widgets available, one for the tablet, and a second for the dock!) for the Transformer series to display the dock's battery status. And that's just pretty neat. 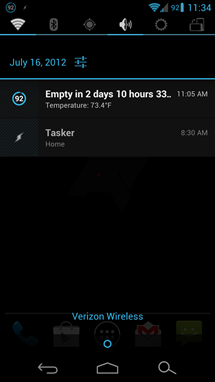 If you would rather not clutter up your homescreen, you can nix the widget altogether and display battery stats as an ongoing notification (also optional). 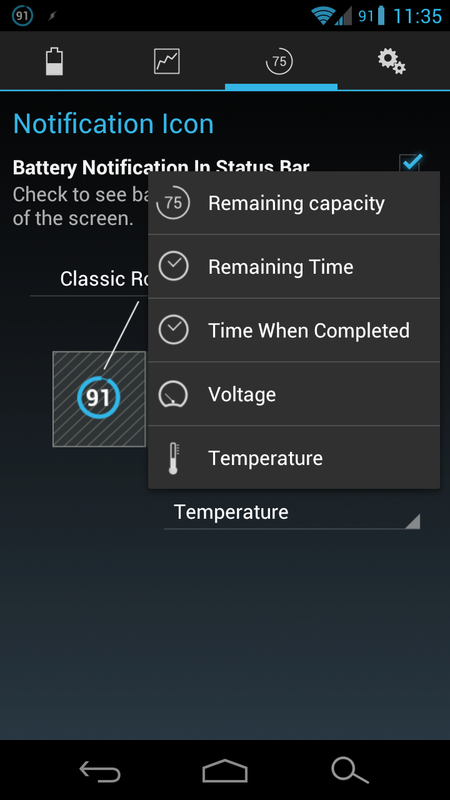 That's fully customizable, too; you can populate the notification widget with different information - like percentage, remaining time, completed time, voltage, and temp - displayed in three defined areas. 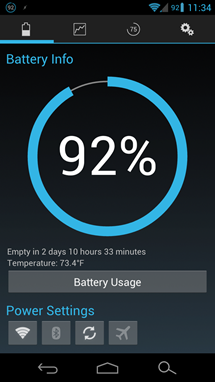 It takes a bit of time for the app to calculate the remaining battery time, so if it doesn't show up immediately, don't panic. It's working on it.